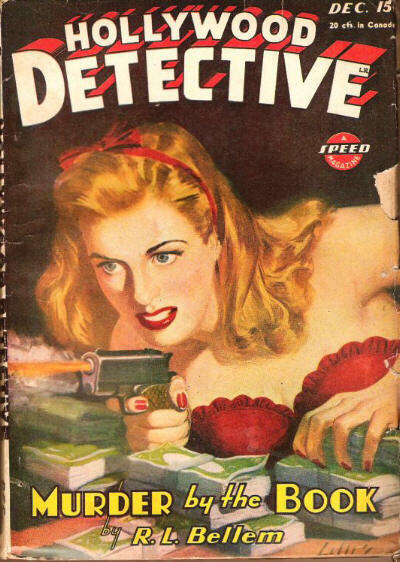 Pulp Cover Friday Presents ROBERT LESLIE BELLEM! 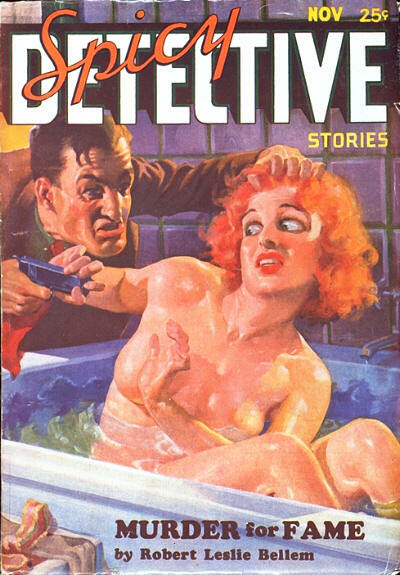 We interrupt our coverage of WEIRD TALES due to a special request from fellow Cheese Magneteer, Tanzi, to cover some gumshoe zines. 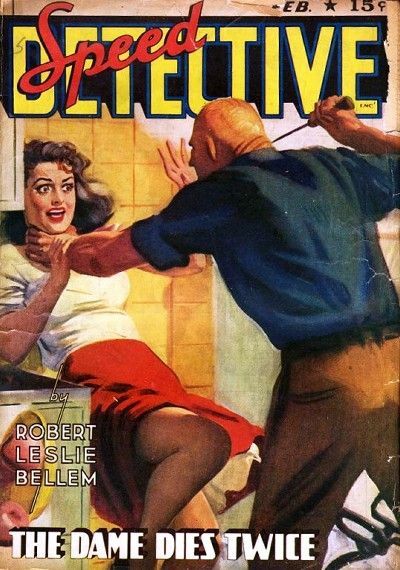 I was thinking about doing a couple of authors, but, damn, there is just too much Robert Leslie Bellem (1902-1968) to peep. 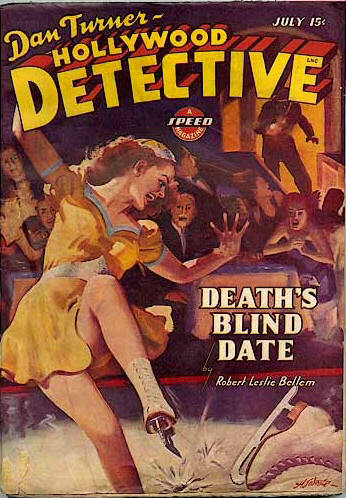 If multiple interweb sites are to be believed (not always a good idea), Bellem must have been the most prolific pulp writer, ever. “It is claimed” (they claim) that he published over 3,000 stories in about 30 years (1930s-1950s). Not impossible (but I would like to see some documentation). 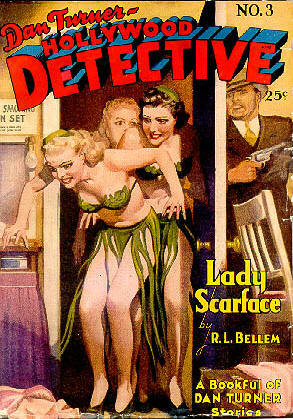 When the pulps died in the late 1950s, Bellem was already ensconced in television, where he wrote numerous scripts for such shows as Long Ranger, Superman, Perry Mason, 77 Sunset Strip, etc, begging the question of why the hell he didn’t get out of the pulps earlier and into the much more lucrative screen writing profession. Who knows? 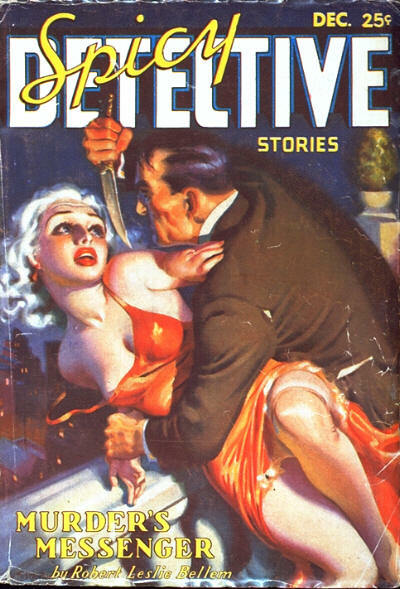 Maybe he liked the pulps better. In my quick cruise around the intertubes I didn’t find out much about him, personally, except that he was said to be eccentric. His writing certainly was. I see that, ultimately, this is going to cost me money. Damn you Tanzi! 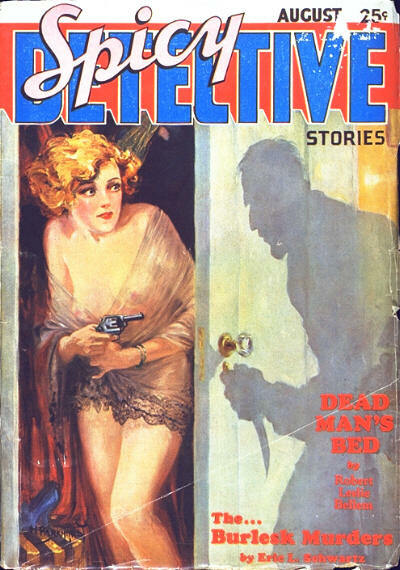 From the 2nd issue of SPICY DETECTIVE (6-34), though granted it’s hard to tell which story (if any) the cover represents. His very own magazine (7-42). 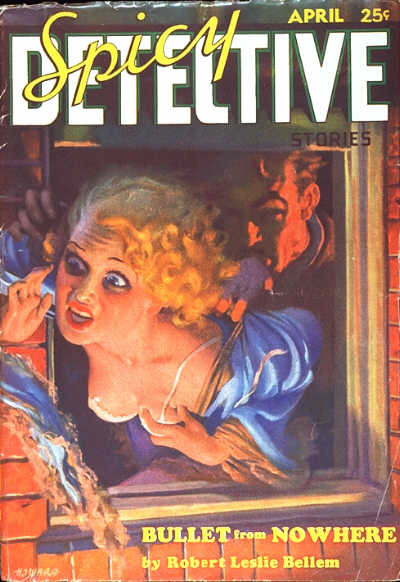 The early issues, with this version of the title, were mostly reprints and all the stories were by RLB. 7-43. He’s taking her to the Ice Capades? Next thing you know they’ll be playing chess. Or Battleship. We’ll end with some non-Turner covers. 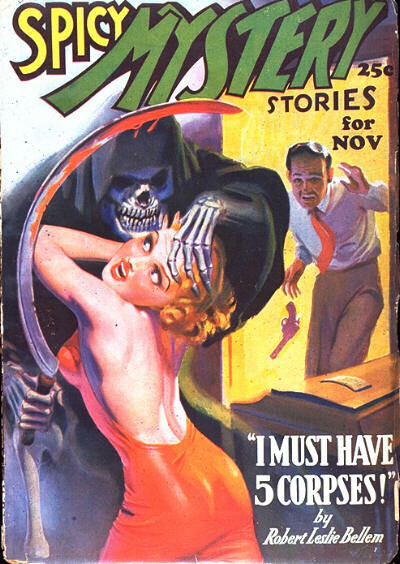 This is the 2nd issue of SPICY MYSTERY (6-35).